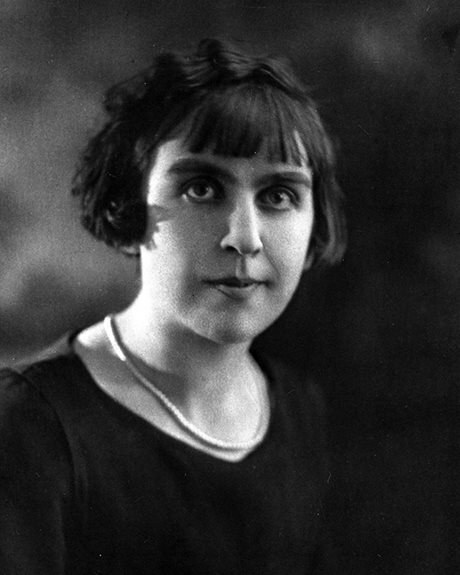 Jeanne Lajoie, a dedicated teacher and advocate for the establishment of French schools in Ontario, was born in Lefaivre, near Hawkesbury, in 1899. In 1923, Lajoie helped a group of francophone parents to establish the first independent French school in Pembroke. The school ensured that their children were educated in their own language. The creation of L'École Sainte-Jeanne d'Arc was one of the last major events in the Franco-Ontarian struggle against Regulation 17, which from 1912 to 1927 prohibited instruction in French after Grade 2. Lajoie taught at the school, initially located in the Dominion Street home of Moïse Lafrance and then in a Mary Street house purchased by the parents. Suffering from fragile health her entire life, Jeanne Lajoie died of tuberculosis at the age of 31. She was immortalized as the "Pucelle de Pembroke," the "Maid of Pembroke," in reference to Joan of Arc, for her commitment to providing education in French and preserving francophone culture within Ontario. Visit the plaque – At the Centre culturel francophone de Pembroke, 303 James Street, Pembroke. YouTube video – “Jeanne Lajoie (La pucelle de Pembroke),” 1923 (in French).